[CLOSED] EMB-120 Brasilia! 25% OFF, cheaper than new! Ask for bulk discounts! The Embraer EMB120 Brasilia is truly a game changer in its class. With brand new PWC 118A engines, this turboprop airliner can carry 30 pax to 675nm, but it ean easily reach 1350 nm easily carrying 18 pax, with speeds 20% faster than other aircraft its size with a 390-410 kg/hr fuel consumption. 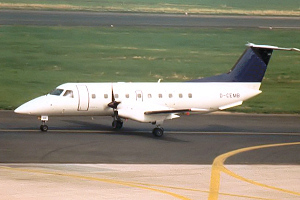 If you are operating Embraer 110s then YOU NEED this aircraft to double your ticket sales. Remember, the number of aircraft you have is limited outside your HQ, so getting larger capacity airframes is the only way to grow your airline after a while. Sleepybreeze is offering an immediate 25% DISCOUNT off the recommended list price of any EMB-120 aircraft you buy from us. Need more than one aircraft? Get progressive discounts to 40% if you buy more aircraft from us, this is a BETTER deal than buying directly new from the manufacturer! Need even more discounts? Send us a PM! You will definitely pay more now for any direct purchase you make with Embraer, there is no lower price anywhere else. Remember, inflation will increase the price of all aircraft, so if you buy this aircraft new 5 years later, it may cost more. Embraer's project launch price was USD 5072050, but if you buy them now it costs USD 7181850 !!!!! Sleepybreeze aircraft services is offering them NEW at USD 5059500, but we will give these aircraft to you at less than 4 M if you contact us! PM me NOW to GET LARGER DISCOUNTS! Also remember that any BRAND NEW aircraft will attract more customers than your competitor, and also allow you to spend less on maintenance. Don't get into the maintenance trap, reserve your shiny brand new aircraft today at today's before-inflation adjusted prices. If you just want to try the aircraft, Sleepybreeze will offer you a route analysis service to see where you can utilize these aircraft effectively so you won't be left in the lurch with aircraft you can't use. We want to see you succeed, send us a message for an immediate introductory discount!